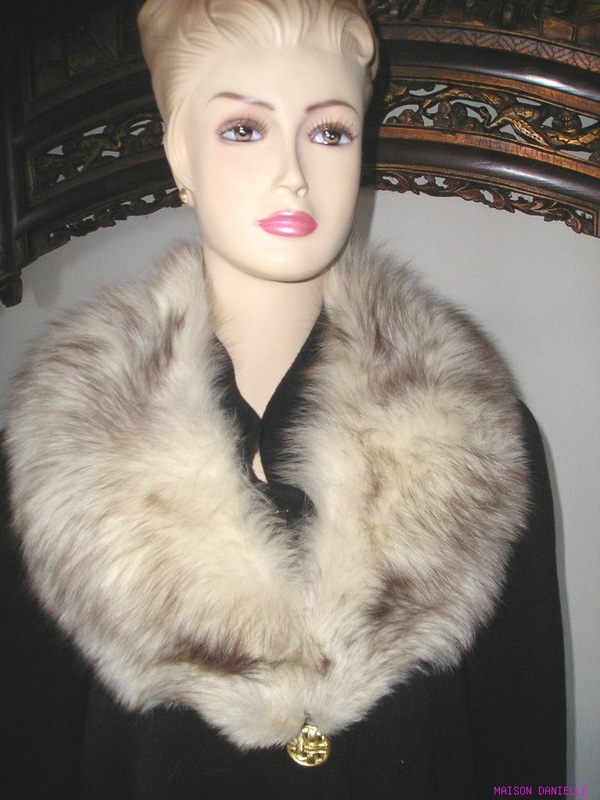 Another superb classic wide shawl collar made from Norwegian Blue Shadow fox fur, backed and lined in silver satin. 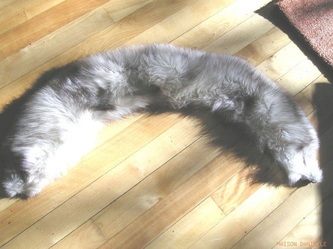 Most people call this fox shade, simply silver. However, there is a subtle difference between the "silver" shades. Created from full pelt, very fluffy with long hairs, the collar has a classic style you can not go wrong with. Dare to wrap it on one shoulder (don't you like to be different?) or keep it in place with a large vintage brooch. 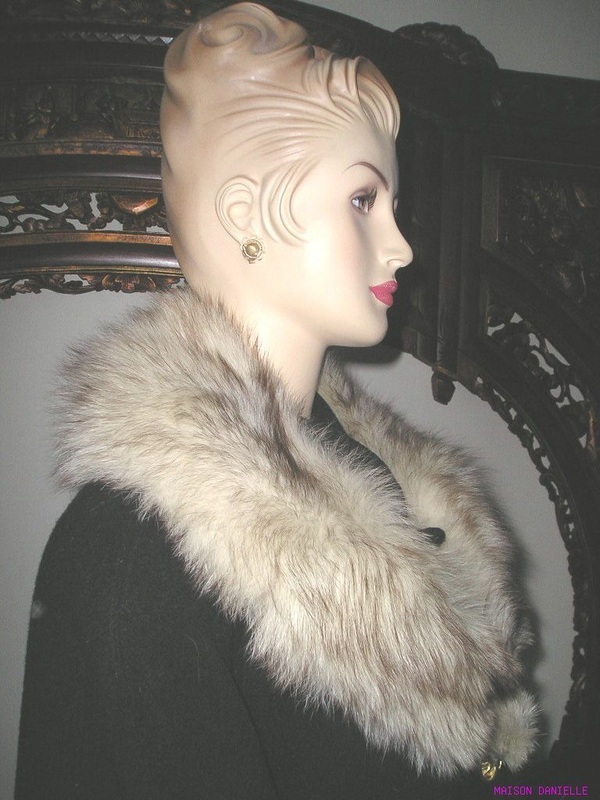 Would look spectacular on a classic British tweed skirt suit or on my white long manteau listed in coats. And do not forget the low brim Casablanca hat. The lining is silver satin and is only stitched in place, in case you wish to permanently attack it to your sweater or coat. 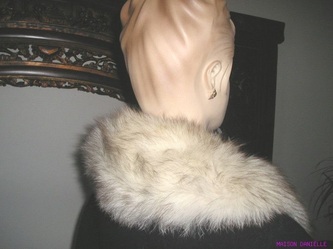 AGE: this is a new, never worn, custom made collar, premium quality furs, soft, pliable and intact. MEASURES 35" long by 6.5" wide measured on the median not the closest to neck or the outside line. FREE inbox shipping anywhere within North America.